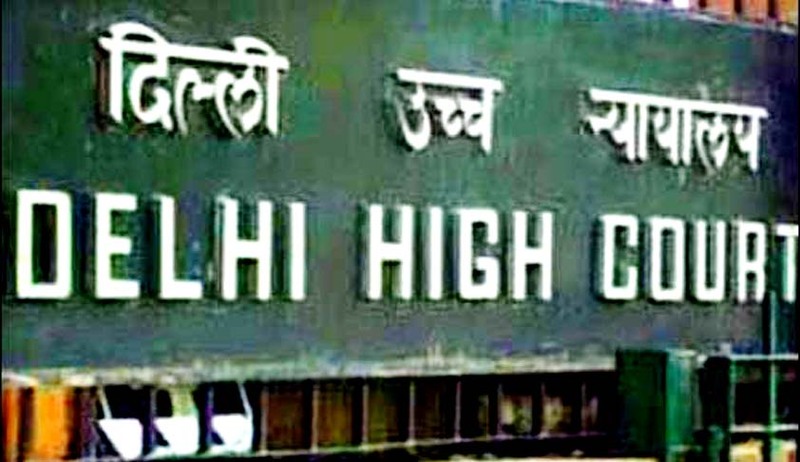 A Division Bench of the Delhi High Court has set aside a single bench Judgment regarding the cancellation of the appointment order of a woman who has a Domestic Violence Case pending against her. The High Court in its significant judgment in Nidhi Kaushik v.s Union of India , ruled that Domestic Violence Cases under Section 12 of the Domestic Violence Act are civil in nature and has also asked the Executive Director (HR & CC) of BHEL, who had filed affidavits containing false and misleading statements to show cause why action should not be taken against him. The court also deemed that it is a fit case to initiate proceedings for contempt of court. The Appellant had applied for the post of Supervisor Trainee in the HR division of the PSU, BHEL. At the time of interview she submitted the bio-data form which included the question “Whether involved in any Criminal case / Law suit at any time?” to which she replied in the negative. The provisional appointment order was given to her and she was to furnish an attestation form which included the question “Is any case pending against you in any Court of law at the time of filling up this Attestation Form?”. She answered in the affirmative as she had a complaint pending under the Domestic Violence Act. BHEL cancelled her provisional appointment giving the reason that she had a case pending under Domestic Violence Act and on the grounds that she had suppressed this material fact in the submitted Bio-data Form. The appellant filed the writ petition challenging the cancellation of the provisional offer of appointment on various grounds that the proceedings under the DV Act arising out of matrimonial discord between her brother and his wife are civil in nature and that no criminal case was pending against her and therefore, there was no concealment in the bio-data form. This was challenged by the respondents and the Single Judge of the Delhi High Court ruled in favour of the respondents on the grounds that proceedings under Section 12 of the Domestic Violence Act are a criminal case. An Appeal filed to the Division Bench of the Delhi High Court ruled in favour of the appellant. The Bench said “The Court dealing with an application under Section 12 of D.V. Act cannot take cognizance of any offence under IPC. The reason appears to be that the proceedings under Section 12 of the D.V. Act are civil in nature triable by a Civil Court, Criminal Court as well as Family Court”. The word law suit and criminal case was also found to be vague and ambiguous and that usage of such words in a bio-data form will lead to hardships and mistakes. The Court not only quashed the cancellation of the offer of appointment to her, but also found that the officers of BHEL and the Union Ministry of Heavy Industries and Public Enterprises guilty of making false statements on oath and of refusal to follow the well-settled law by the Supreme Court and the High Court. The decision of the High Court has thrown significant light upon the civil nature of the proceedings under Section 12 of the Domestic Violence Act and has come down heavily upon making false and misleading statement on oath to resist such small claims and for not following the law well settled by the Apex Court as well as by the Delhi High Court.